Is this not the ultimate 'fly-over' scene? 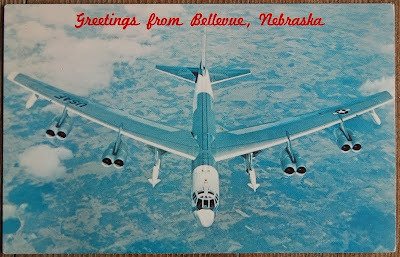 Are there actually any 'belle vue' spots IN Nebraska? Was this a bombing run? 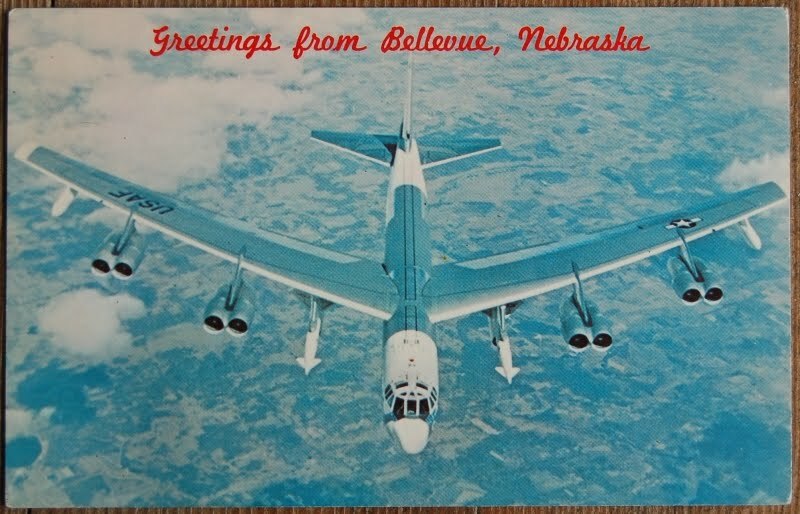 That's one of the worst ways of getting a greeting--via B-52 Bomber! How is that boring? That's awesome. I'd buy ten if I were in Bellevue, Nebraska. Is there even an airport there? See, in postcard land there's a LOT of overlap between "boring" and "awesome." And I can personally guarantee you, Aviatrix, that there is more boredom/awesomeness coming down the pipeline.